Make yourself at home in one of the 30 air-conditioned rooms featuring kitchens with refrigerators and stovetops. Complimentary wireless Internet access keeps you connected, and cable programming is available for your entertainment. Conveniences include microwaves and coffee/tea makers, and housekeeping is provided weekly. 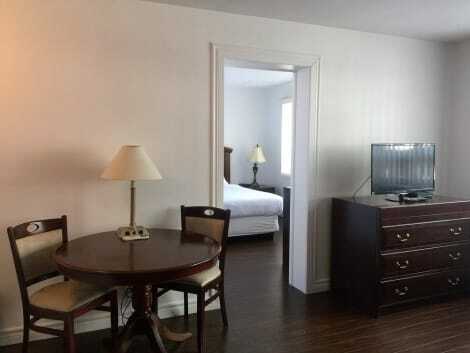 A 10-minute drive from Macdonald Cartier Airport, this Ottawa motel is 9.6 km from downtown. The motel offers a fitness centre, free Wi-Fi and a daily continental breakfast. 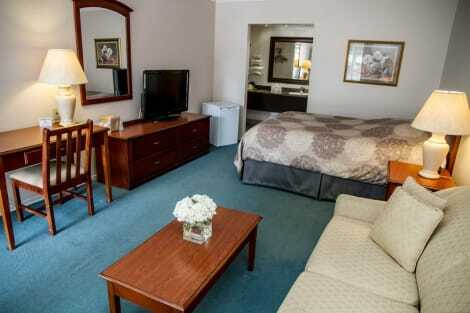 Adam's Airport Inn features a small refrigerator and free local calls in every guest room. They also include cable TV and a private bathroom. Free parking and daily newspapers are available at the Airport Inn. Guests can also use the on-site laundry facilities. Rideau Carleton Raceway is 7.6 km from Adam's Inn. With a stay at Rideau Heights Inn in Ottawa (Ottawa Division), you'll be within a 15-minute drive of Carleton University and Rideau Canal. 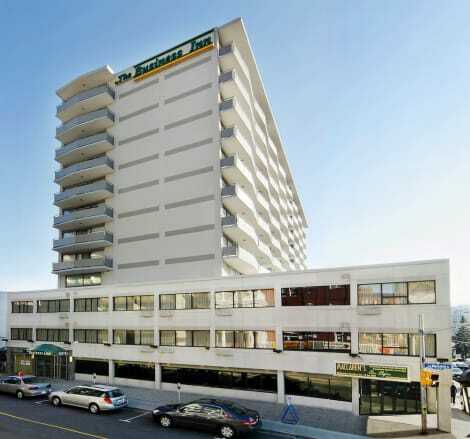 This motel is 7.3 mi (11.7 km) from Parliament Hill and 7.4 mi (12 km) from University of Ottawa. Featured amenities include complimentary wired Internet access, a 24-hour business center, and express check-in. 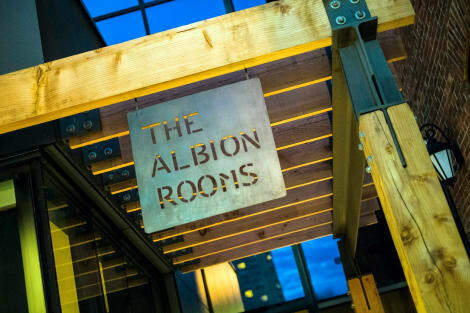 Planning an event in Ottawa? This hotel has facilities measuring 1200 square feet (111 square meters), including a meeting room. Self parking (subject to charges) is available onsite. This Ottawa bed and breakfast is within a 6-minute walk of the University of Ottawa. The property features public front porch and rooms with a flat-screen TV. McGee’s Inn rooms include a refrigerator and seating area. The rooms are equipped with a private bathroom. Guests at the McGee’s are provided with a daily breakfast. After the meal guests can explore the surrounding area. The Inn is one mile from Parliament Hill, home of the national government buildings of Canada. The Rideau Centre Mall is within a 10-minute walk of the bed and breakfast. Enjoy American cuisine at Cafe 1274, a restaurant which features a bar, or stay in and take advantage of the room service (during limited hours). Cooked-to-order breakfasts are served on weekdays from 6:30 AM to 11:00 AM and on weekends from 7:00 AM to noon for a fee. 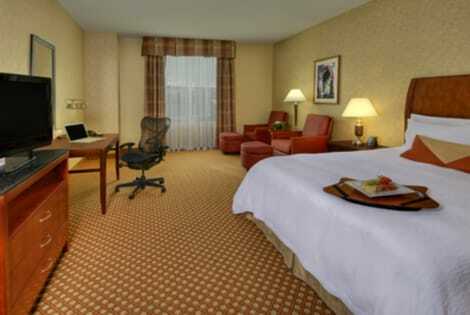 Make yourself at home in one of the 176 air-conditioned rooms featuring LCD televisions. Your pillowtop bed comes with premium bedding. Cable programming and video-game consoles are provided for your entertainment, while complimentary wireless Internet access keeps you connected. Private bathrooms with shower/tub combinations feature complimentary toiletries and hair dryers. Canada's capital, Ottawa, is located on the Ottawa River in the state of Ontario and is Canada's fourth largest city. This spacious and leafy city is easy to explore by public transport or on foot, and is Canada's centrepiece in arts and culture. If you like being close to water and nature, head to Hog's Back and Rideau Falls where you will see both artificial and natural waterfalls in all their glory. A world heritage site, the Rideau Canal is Ottawa's playground. In winter, the canal becomes Canada's, and maybe the world's, largest ice rink. In the summer the canal is a mosaic of boats floating on its waters, and truly is the lifeblood of the city. A good way to see Ottawa is by foot. Go on a walk around downtown Ottawa with Ottawa Walking Tours and see the city's most historic and iconic landmarks, which include the Notre Dame Basilica and the National War Museum. Housed in its modern, economically friendly building, the Canadian War Museum documents Canada's military history and has a range of exhibitions throughout the year. The National Gallery of Canada houses fine examples of Canadian, American and European art including paintings, sculptures and photographs. The gallery also houses exhibitions throughout the year. The Canadian Aviation and Space Museum exhibits around 130 aircraft, both civilian and military. You can have a go at being a pilot in the simulator and even get the chance to have a flying tour of Ottawa in an open cockpit biplane. A trip to Canada wouldn't be complete without witnessing the pulsating action of Canada's favourite sport, ice hockey. Watch the Ottawa Senators in the NHL at the Canadian Tire Centre. Ottawa's most visited attraction, Parliament Hill, is a beautiful collection of buildings. In the summer months there is a daily changing of the guards and in the evening you can watch a spectacular sound and lights show. Ottawa has a huge amount of choice and all tastes are more than catered for. American diners and grills are a-plenty and you can also find a traditional Irish pub offering homely food and a great night out. An interesting venue is Mill Street Brew Pub, housed in a 140-year-old building; how about grabbing a pint here, then going on a brewery tour and sampling all the beers you like? Ottawa hotels are many, as you would expect from a capital city. Close to the city centre you will find a range of chain and independent establishments. All will give you a warm, Canadian welcome.